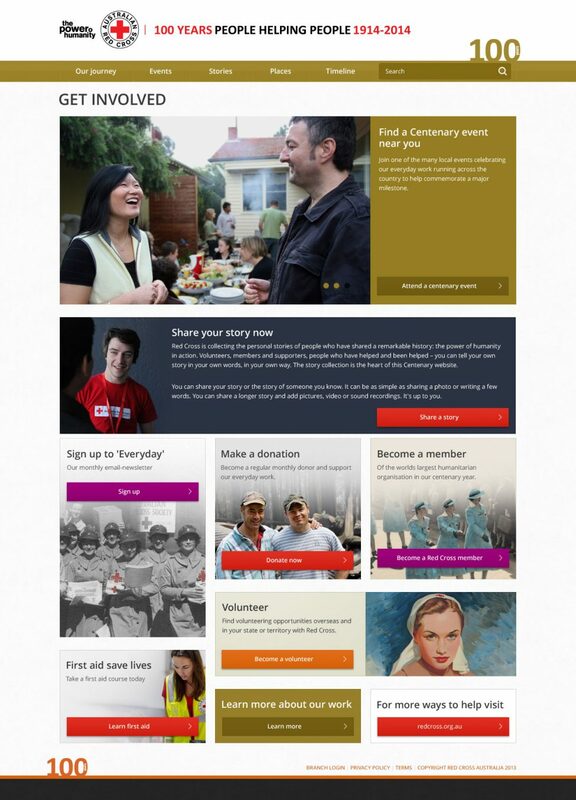 The Australian Red Cross cooperated with Link Digital to build a centenary website on a contemporary, functional platform. 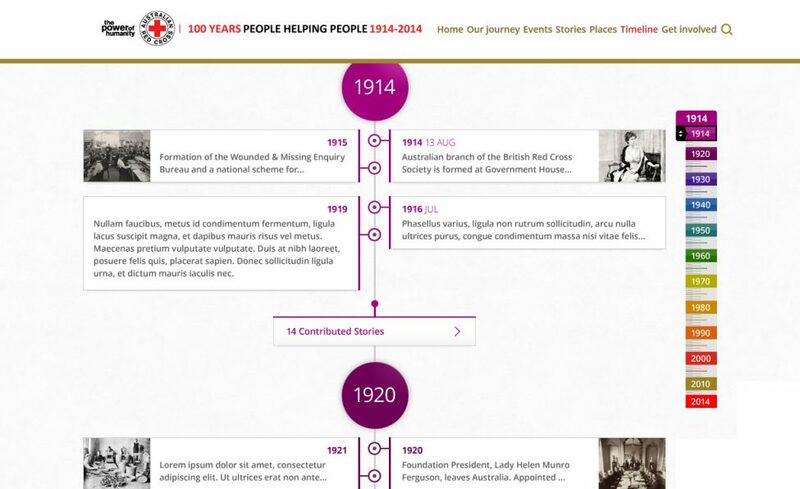 Whilst the website launched and celebration centred around the 100 year anniversary on 13 August 2014, Australian Red Cross’s long term aim is to create an innovative platform with the ability to ingest new data from third party sources to continue weaving together the story. 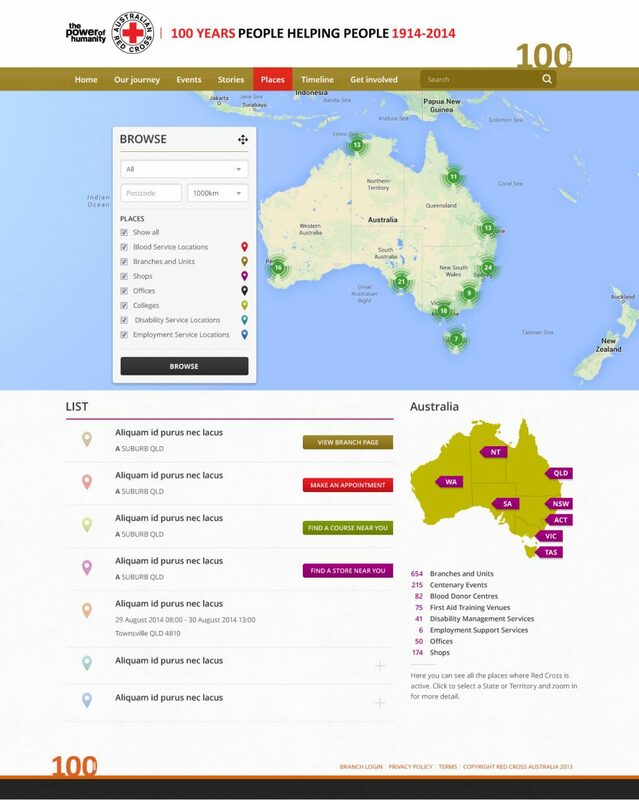 For example, the data first design of the website has the ability to align with rich data from institutional archives such as the Australian National Library, bringing together a phenomenal mass of national content in one accessible platform. The site is developed over the top of a Drupal Commons installation, which will allow us to expand the site into a full content hub. The site is hosted on Amazon Web Services (AWS) and monitored 24/7 by CloudWatch to trigger the automatic scale up of web servers as the site comes under load. The Red Cross is publicising the site via various media channels, so load on the environment is highly variable. Using AWS allows us to maintain a highly responsive site at a minimum cost to our client. In the past year, the Australian Red Cross Centenary website has recorded over 32,000 site visits, more than 150,000 page views and has gathered over 600 personal stories. As we move towards a future of open data the ability for intelligent digital conversations to be created allowing public access to vast datasets is now more real than ever before. Fully responsive design for desktop, mobile and tablet devices. Find out more information about our cooperation with the Australian Red Cross on our blog.